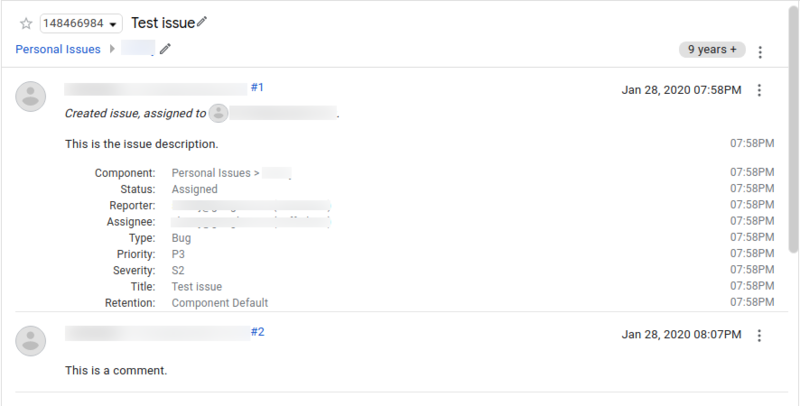 This page shows how to view and edit an issue in Google Issue Tracker. You must have Edit Issues or Admin permissions for the component that contains the issue in order to edit its fields. If you have Comment on Issues permissions, you can view and add comments to the issue only. Open Issue Tracker in your web browser. Find the issue by its URL or by searching for it in Issue Tracker. Use the App Bar buttons to perform quick actions on the issue. These buttons are located below the search bar. 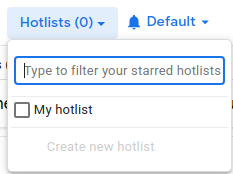 Use the hotlist picker to add or remove the issue from hotlists. The hotlist picker is located directly below the search bar. For more information, see Hotlists. Use the Related Issues Tray to connect this issue to other issues. The Related Issues Tray is located below the App Bar. For more information, see Related Issues. Use the Issue Fields panel to view or edit the state of the issue. 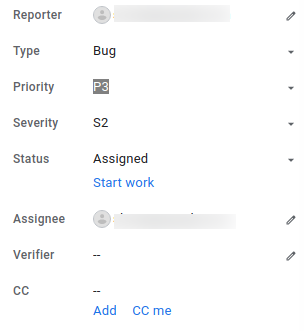 The Issue Fields panel is on the right side of the page and contains many of the fields first reported when the issue was created. It also includes the component's custom fields. You can edit a field in this panel by clicking on it or its associated hyperlink. For information about specific fields, see Glossary of Fields. Click the pencil icons in the header of the History panel to edit the issue title and component. For more information on how to change a component, see the Finding Components. Use the History panel itself to track changes to the issue. This panel is the central area of display when you view issue details. It displays updates to the issue and provides a space for comments on the issue. The History panel does not display minor changes to the state of the issue by default. To view these changes, toggle the Full History option near the top of the page. Add comments and attachments to the issue using the comment box at the bottom of the History panel. Some components may allow comment editing, in which case a pencil icon will appear next to the comment number in the History panel. Click the pencil icon next to the comment number in the History panel to edit a comment. Users with comment access can modify their own comments, and editors can also modify the first comment. "Message last modified by user@domain.com on Jan 26, 2017 02:24PM"
Do not use comment editing to redact sensitive information as the change history will be maintained by the system. Instead, please request removal by filing a support ticket. Editing a comment does not send a change notification. Click the button next to the comment timestamp and select the Copy comment to... option. Select a target issue from the popup dialog box, and click Copy. Clicking the Copy button does not post the comment to the target issue. You can review it in the new browser tab before posting it. The target issue opens in a new browser tab, with the selected comment text in the comment box at the bottom of the History panel. The copied comment is not submitted until you click either the Add Comment button or the Add Comment and CC me button. Also, a copied comment does not mention which issue it was copied from, and is attributed to the user who submitted the copied comment. Many parts of an issue page have informational text that appears on hover. For example, hovering over the Comment button explains that you can use the button to put keyboard focus in the comment box. Last updated October 25, 2017.